The Scottish Open is making a comeback following an 18-year hiatus thanks to backing from one of the country’s leading housebuilders, Springfield Properties. 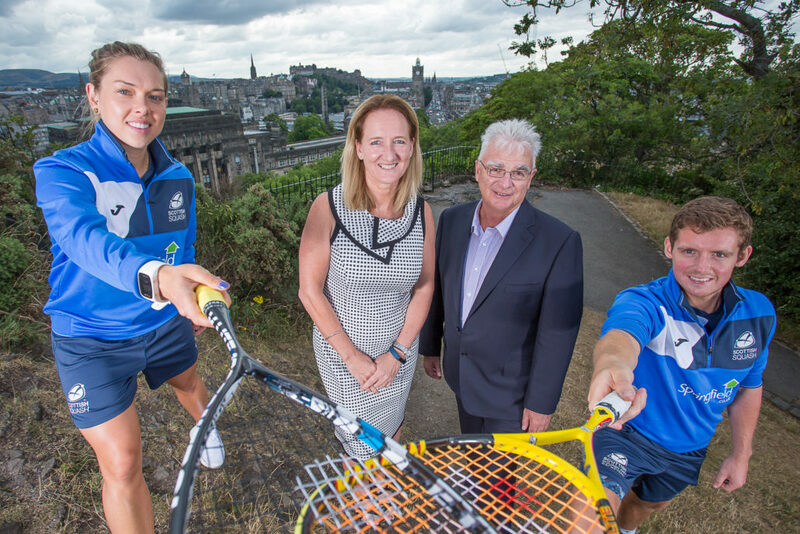 The builder of private and affordable homes has partnered with Scottish Squash, and the Professional Squash Association (PSA), the governing body for professional squash, to bring the Springfield Scottish Squash Open to Edinburgh in 2019. The inaugural Springfield Scottish Squash Open will be a PSA Challenger 10 event with a $20,000 prize fund, which will be equally split between male and female players. The tournament, which was last played in 2001, is set to attract a raft of world-class players to the capital as one of the most lucrative squash tournaments in Scotland next year. 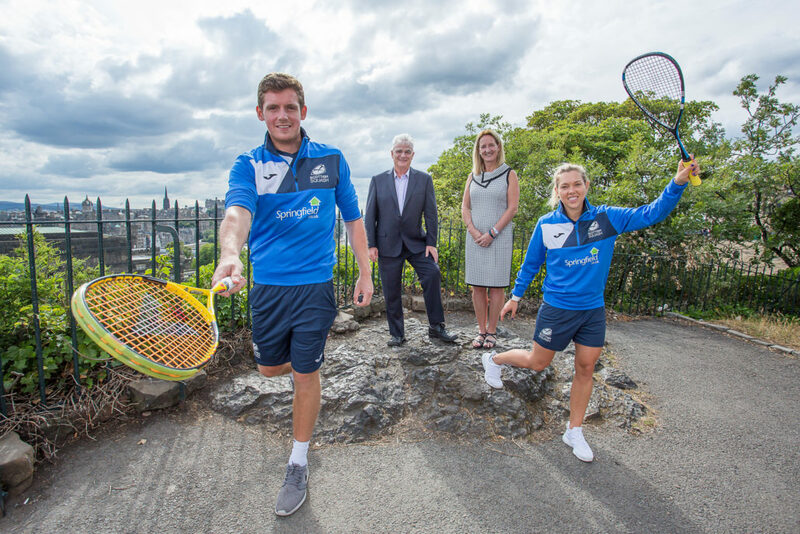 Greg Lobban, Sandy Adam, Maggie Still and Lisa Aitken pictured on Calton Hill, Edinburgh launching the Springfield Scottish Squash Open. The PSA tour event will debut at Oriam, Scotland’s sports performance centre based at Heriot-Watt University, from the 3 to 7 April 2019. 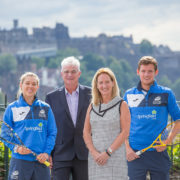 Scottish Squash chief executive officer, Maggie Still added: “Scottish Squash is thrilled to have formed a partnership with Springfield Properties. The Springfield Scottish Squash Open will help to deliver our vision to inspire the next generation of players into our fun, exciting and fitness promoting sport. Scotland’s number one female player, Lisa Aitken, said: “To compete in front of home fans at the Oriam will be a big thrill and hopefully I can do well in the first Springfield Scottish Squash Open. 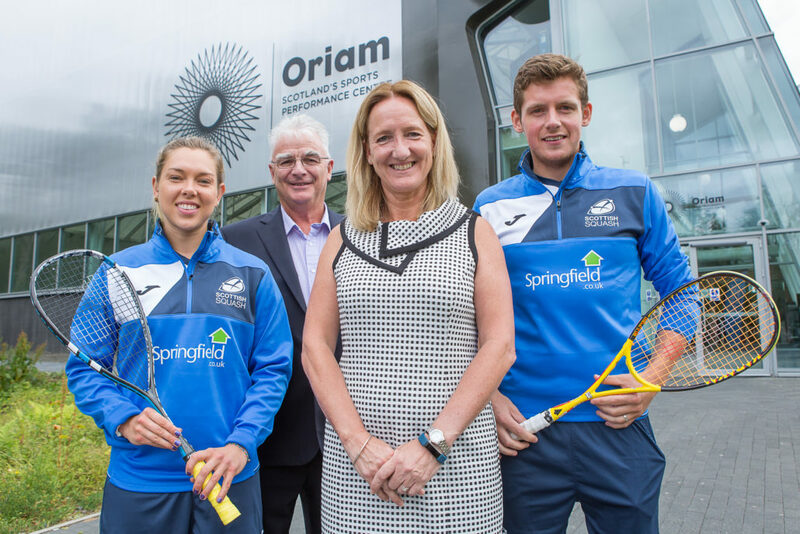 “Having Springfield Properties on board as a sponsor is a real boost for squash in Scotland and can help take our sport to the next level. Greg Lobban, currently 30th in the PSA world rankings, added: “I was too young to remember the last time there was such a big event in Scotland in 2001, but players such as Peter Nicol and John White competed, and hopefully we can attract that calibre of players as the Springfield Scottish Squash Open grows. Scottish Squash, is negotiating with other firms regarding additional sponsorship to upgrade the tournament to a PSA Challenger 20, which would be one of the largest ever prize funds for a squash tournament in Scotland.